Wonderful experience with the dealear and particularly the salesman Zack. It too only 2.5 hours to complete purchase concluding test drives and awesome financing. Highly recommend Whitten brothers of Ashland. The sales team was very helpful with the truck's technical specs to make sure the vehicle we selected could handle the towing capacity required. I would recommend this team to help anyone looking for trucks, they are certainly product experts. I was traveling through Richmond, VA,, from St. Louis, Mo, when I had a trailer issue. I also had a “Perform Service” message pop up on my 2017 Ram 3500. I took my truck to Pearson’s Chrysler near Richmond, but I was told that I needed an appointment. I was told, around 9:39 this morning, that they could schedule me for an appointment the next day to plug into my truck, and determine the fault. I told them that I was from out of town, but I had never heard of that. Again, they told me that I needed an appointment just to plug into my truck and determine the fault. A local told me to take it to Whitten Brothers Of Ashland, that Pearson’s is horrible service. I drove to Whitten Brithers Of Ashland, and their customer service is what you would expect of any customer oriented service department. They evaluated it, and told me that it was a Crank Case matter, but was not a serious fault. I asked if they could squeeze it in, and Nick checked with their diesel mechanic, and verified that they had the part. They completes it in very little time, and got me back on the road. 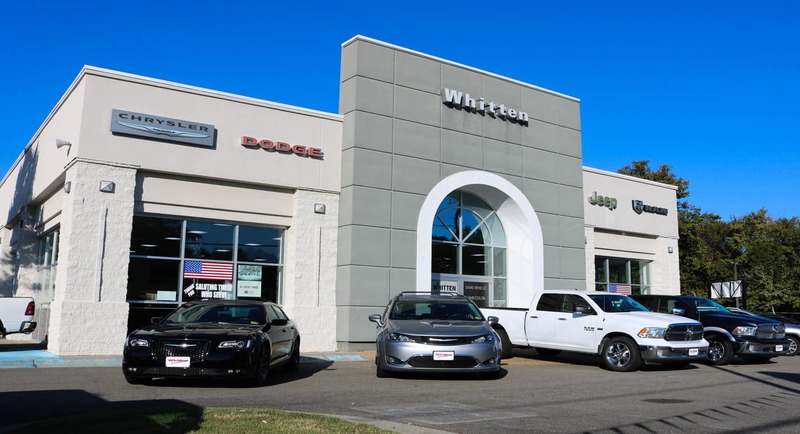 Whitten Brothers has been serving the needs of central Virginia’s auto buying public since 1918 when the original store opened on what was then a dirt Broad Street in downtown Richmond. The company is owned and operated today by the 4th generation of Whittens who are involved in the day to day operations of the business. We also carry an inventory of MOPAR auto parts and have a full service department, so anything automotive you need is here. Whitten Brothers of Ashland serves the entire Central Virginia region, including Ashland, Mechanicsville, Glen Allen, Atlee, Short Pump, and Lakeside. Our dedicated sales staff, knowledgeable finance associates and expertly trained technicians are all here to make your experience fun, easy and hassle-free!